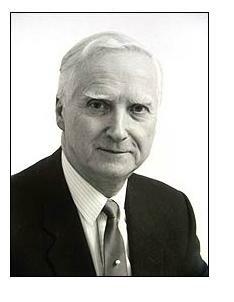 Francis Roe was my friend and close colleague for some 40 years. A medically qualified pathologist, he was a leading authority on many aspects of cancer research and toxicology. We worked together on numerous projects which involved a combined medical and statistical approach, and he was the inspiration for the ROELEE system for recording, reporting and analysis for pathology data which has expanded enormously over the years. He wrote more than 800 publications, including eight books and many leading articles in the British Medical Journal and the Lancet. When he sadly died, aged 82, on August 8th 2007, I was determined that his very important life work should become readily accessible. This website not only provides links to obituaries in The Daily Telegraph and The Times, and a tribute* to him written by Dr Jeffrey Cohen and the late Dr Paul Grasso, but also gives the reader access to Francis's publications. After he died his family kindly gave me access to his file of collected publications. My colleagues and I attempted to identify those that can be freely downloaded, and to obtain permission from the copyright holders of the others to make the publications available from this website. In many cases we were granted permission, for which we thank the publishers concerned, and those publications may be downloaded from copies we have scanned. In other cases the link shown is to the publisher’s website and the interested user may have to pay a charge to access the publication. Sometimes we were unable to obtain permission to put the publication on our website or provide an appropriate link. However the full reference is still provided and the interested user may be able to access the publication by other means. I am concerned that as many friends and colleagues of Francis as possible should know about this website. I am attempting to make this website known in a number of journals which published Francis’s work, and I would be grateful if you could draw attention to this website to other past friends and colleagues of Francis. * This article was published in Food and Chemical Toxicology, Vol 40 number 6, A.J. Cohen and P. Grasso A tribute to Dr Francis Roe: 50 years of outstanding achievement, Pages 731-732, Copyright Elsevier (2002). http://www.sciencedirect.com/science/journal/02786915.